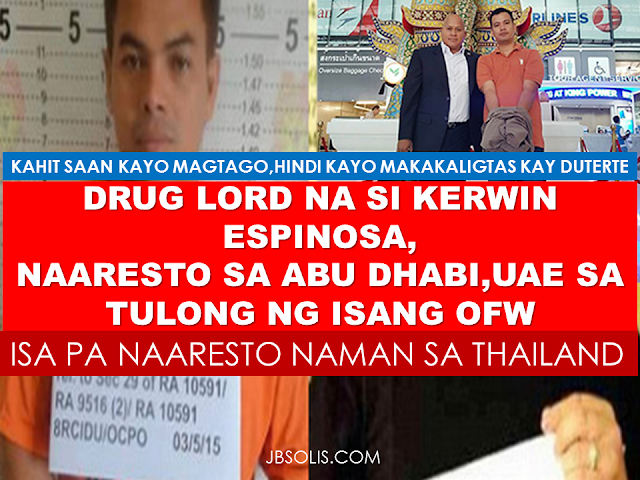 The druglord son of Albuera Leyte Rolando Espinosa ,Kerwin ,was arrested in Abu Dhabi,United Arab Emirates with the help of an OFW whose name is not disclosed for security reasons. Roland Espinosa a.k.a Kerwin,was arrested on his way to the Philippines to face all the pending cases related to drugs,according to PNP Chief Ronald dela Rosa. Extradition process is underway and the arrested drug lord can be brought to the Philippines anytime to face drug charges. 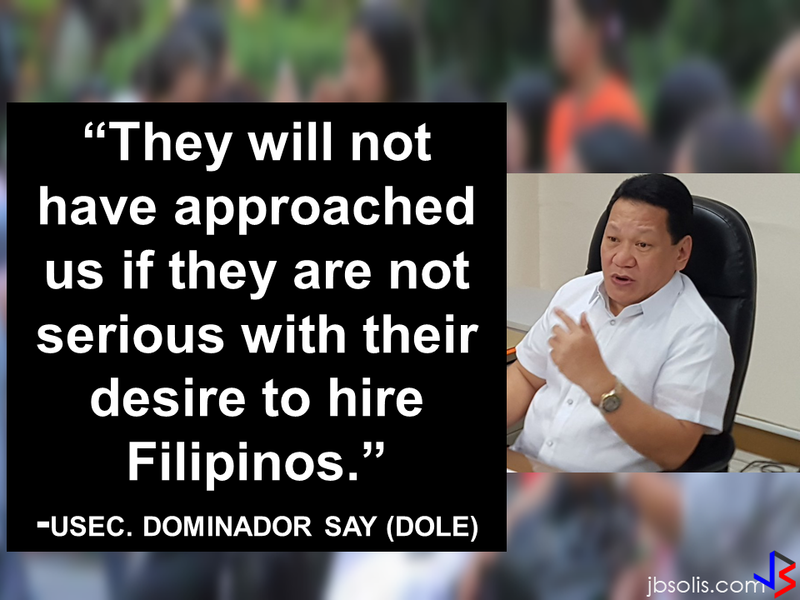 After the arrest of his father,the PNP chief issued a warning to the young Espinosa to surrender or his life will be in trouble.The arrest of Kerwin can lead to more information about the drug trade in the Philippines and locating more drug lords that has infested the country . President Rodrigo Duterte has vowed to end drugs and drug related crimes in the country for the welfare and safety of the coming generations. Former PO2 Alexander Pangilinan was charged with homicide and kidnapping for ransom and has been evading the law for more than 10 years,has been employed as a resort manager in Thailand. Dela Rosa was the guest of honor during the anniversary celebration of the Royal Thai Police.He also went to Thailand for a conference with his Thai counterparts to discuss strenghtening relations that resulted to the arrest of the fugitive ex-cop.